The SARK knife was designed specifically for situations where a balance between safety and effectiveness was of utmost importance. 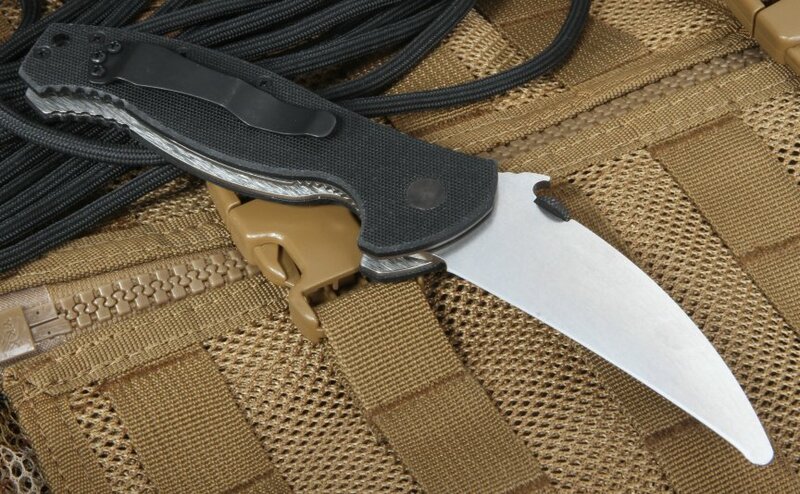 The official rescue knife of elite U.S. Navy Teams, the Emerson Search and Rescue design was planned according to their parameters and tested in the field to withstand actual emergency conditions. 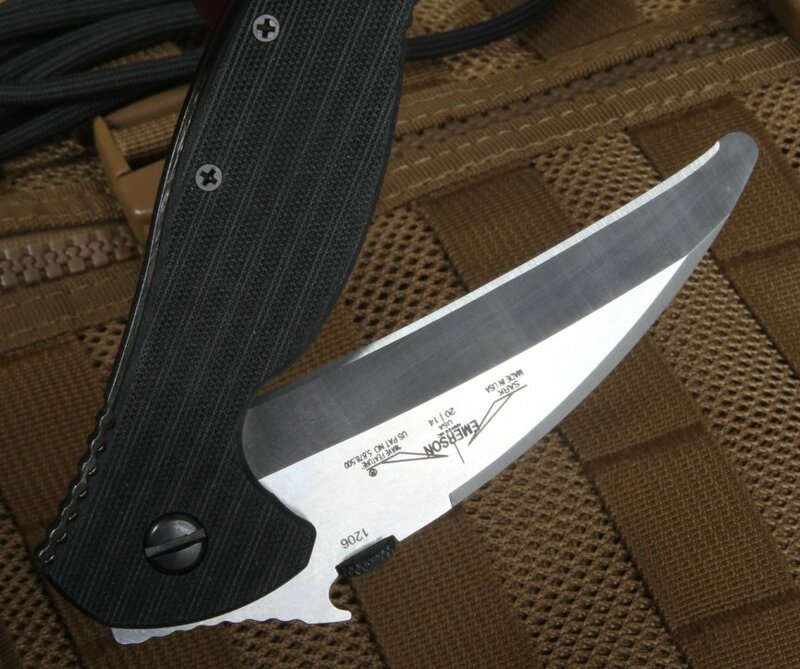 This is the first knife built with EMT, paramedic and rescue use and needs in mind. The 8 1/4" knives measure 5" when closed, a convenient size for a comfortable carry. The blades measure 3 1/2", and are elegantly crafted of 154cm of stainless steel. 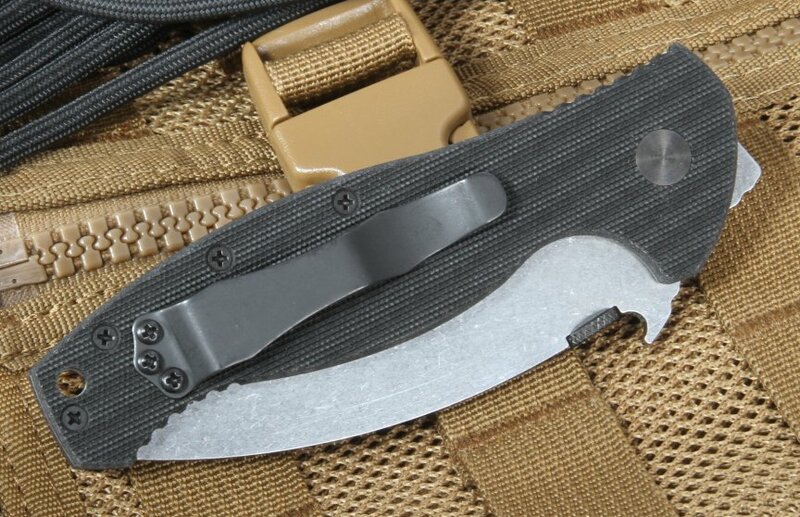 All available models include a pocket clip mounted for blade tip up carry. 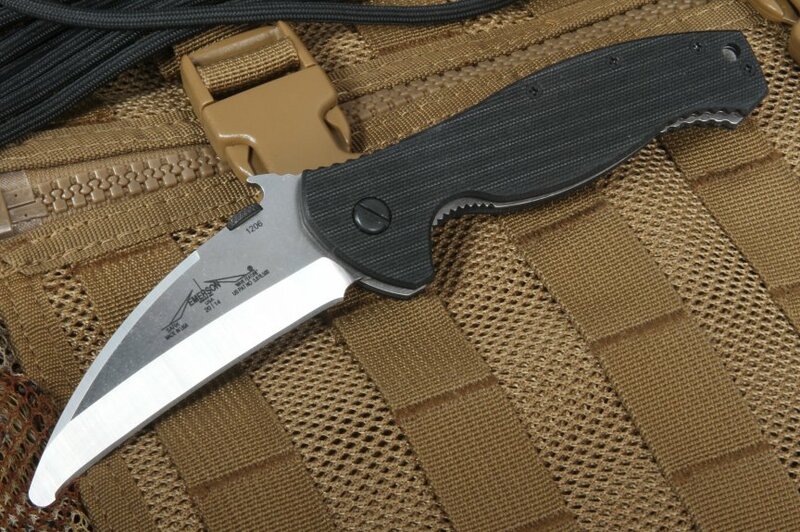 The Emerson Search and Rescue line weight a very light 5.2 ounces, and have a comfortable black G-10 handle fitted with an ambidextrous thumb grip that allows for very easy and convenient, one-handed opening. The blade is ground to perfect precision in both sides, front and back, which results in an outstanding razor-sharp edge. Emerson knives has always been a pioneer in tactical knife production, and the SARK line does not disappoint, honoring the craftsmanship expected when creating this line for the Navy. 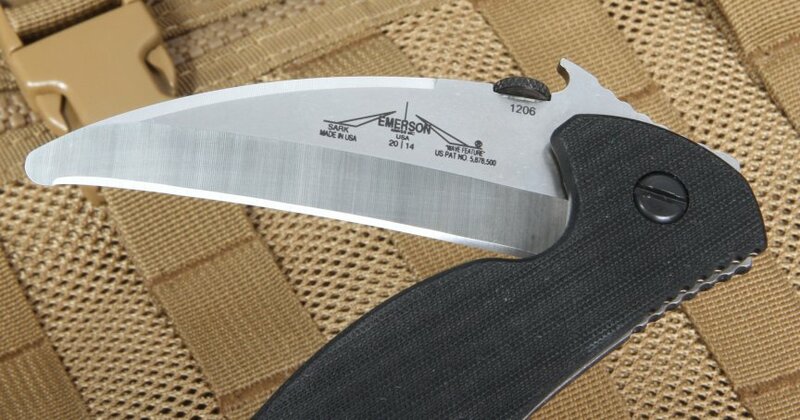 Emerson makes a military quality knife, tested to perform under the most trying circumstances, available to the general public.